Our national holiday of Thanksgiving takes its origins from a feast held in 1621 by the Pilgrims and Wampanoag to celebrate a successful harvest, offering thanks, gratitude, and appreciation to God. When our Thanks have been offered, we are led in prayer. 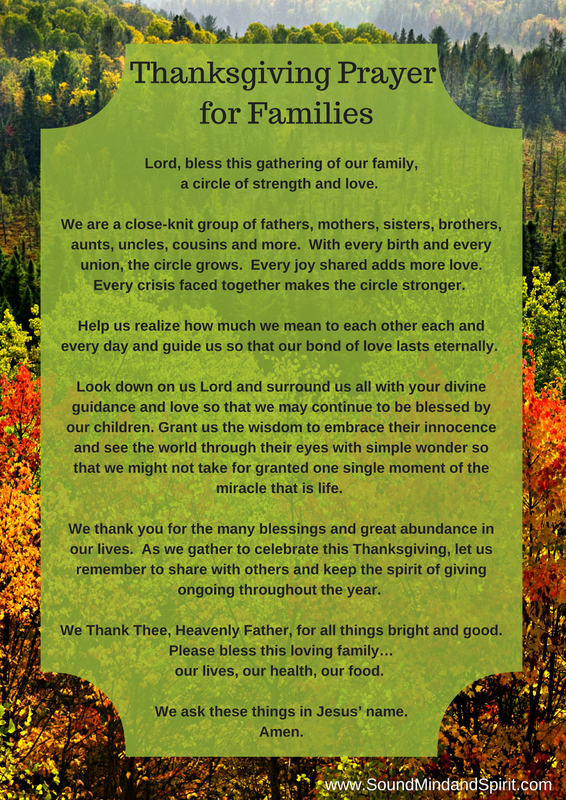 One year, my Aunt read this prayer to our family. Though I don’t know whether she found it somewhere or wrote it herself, I kept the copy she read from because I found it strikingly beautiful to be prayed aloud in the presence of my family. We Thank Thee, Heavenly Father, for all things bright and good. 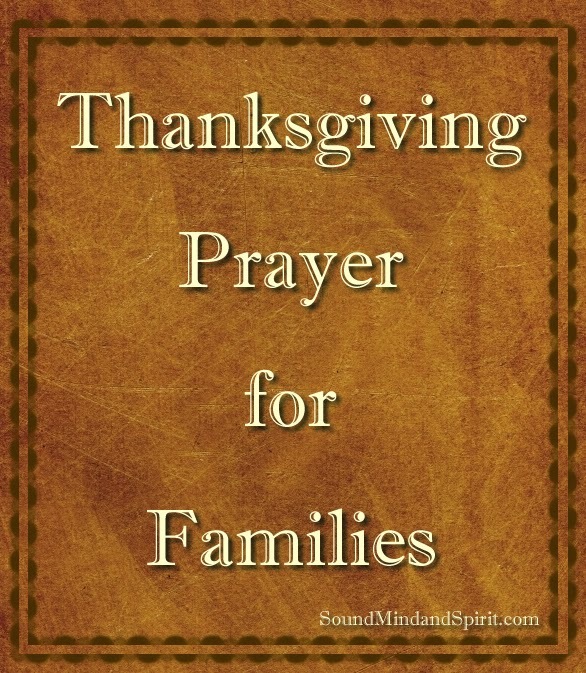 Please bless this loving family… our lives, our health, our food. We ask these things in Jesus’ name. Amen. 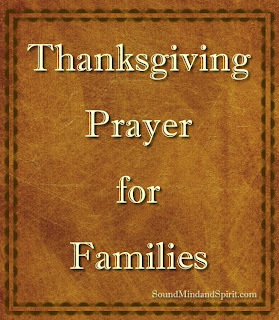 May God Bless You and Your Family on This Thanksgiving. Happy Thanksgiving!